The success of Bony sunrise and Bony Star gave impetus to the morale of the group. The natural outcome resulted into the commencing of Bony Residency. Besides this , a commitment to deliver a unique project catering to client's need got the recognition. The Group never lagged behind in adopting the most innovative and new technologies to create quality real estate structures. All the Projects personify their progressive imagination. The team members provide total customer satisfaction, utmost attention and speedy services to their clients. Smart and aesthetically appealing look, is a feast for the senses. Design gives a new look, addressing the tactile and visual experiences. The balconies provide dynamic view of the streets below.Bony Buildtec Pvt. Ltd. the perfect residential apartment can make you feel the same freshness and energy of sunrising dawn throughout the day because of it's special features of more ventilation and more space. Located at Jagatpura, the epicenter of Jaipur fo all activities which makes itself the great reason for being the apartment spectacular. 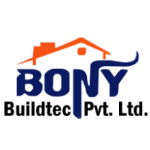 Along with the Posh Locale, Bony star is the apartment with the bright light of aspirations, cool breeze of satisfaction and blissful feeling of celebration. More ventilation, More space, More Green Area and all other facilities that are the most needed qualities for a happy home. Operations encompass various aspects of real estate development, such as land identification and acquisition, project planning, designing, developing, marketing and execution. We create innovative and sustainable developments in Rajasthan that attract, inspire and connect people. Our high-quality projects have a proven and strong track record, are developed at prime locations and reflect the needs of occupiers and investors while satisfying the demand from investors and consumer. We emphasize on improving the quality of life. We do this in a socially economically and environmentally sustainable way.